Piano based roots pop, soulful voice, passion for the groove, love of the poetic. I’M SO is Sue’s first musical offering after a long hiatus from the stage. After an extensive period focussing on teaching , dance studies and her fascination with whales, Sue was again drawn to the practice of song writing. Taking inspiration from northern landscape, singing lessons, dance, introspection and a renewed curiosity in the pop song format, Sue began an intensive writing period, working at her Bell piano, playing, singing, listening, seeking. Initially intended as a demo, I’M SO took on a life of its own, demanding musical attentions beyond the piano and voice. Two years in the making, the CD collected the fine musicianship of Davide DiRenzo (jacksoul, Holly Cole, Ashley MacIssaac, Carol Welsman) , drums and percussion; Jeff Bird (Cowboy Junkies, Tamarack), mandolin, percussion, electric bass; Russ Boswell (Folk Alarm, David Wilcox, Colm Wilkinson), electric and upright bass; Rusty McCarthy (Mary Margaret O-Hara, Allannah Myles, Dan Ackroyd), electric and acoustic guitars, Scott Merritt, keyboards; Nick Craine, vocals; Leo Valvassori (Ronnie Hawkins, Allannah Myles) Torben Markussen-Brown, acoustic guitar; Richard Bell (Janis Joplin, The Band, Bob Dylan) . organ; and Frank Evans, banjo. I’M SO was mixed by Jeff Wolpert, Desert Fish, Toronto, and mastered by Joao Carvalho, Joao Carvalho Mastering, Toronto. All songs written by Sue Smith. I'M SO was produced by Sue Smith. The result is a fine sounding collection of fresh roots/pop tunes and delicate ballads - sometimes winsome and forlorn, always heartfelt. Songs explore the passion of landscape and the thrill of dance intermingled with the the journey of relationship; the desire that insists on hellos and the circumstance that necessitate good-byes, and always love; the force of life in all its glories, desperations and hopes. Sue Smith is a singer, songwriter, performer, writer and teacher. 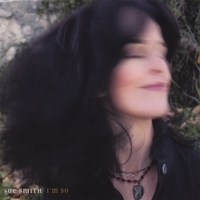 Sue’s debut solo album, “I’m So”, is a collection of 11 new, original songs written and recorded over the period Nov. ‘03 -Oct. ‘05. Taking inspiration from northern landscape, blue whale acoustics, singing classes with Peg Evans, and an intensive period of dance studies, Sue created a collection of songs examining the magnetics of relationships; the desire that evolves a greeting, the experience that necessitates a goodbye and reflection on the memories of these acts; hellos, goodbyes and, always, love. “I’m So” will be released in May, 2006. Sue spent ten years as a part of the acclaimed vocal trio, The Bird Sisters, recording and touring original music across Canada and throughout the U.S., receiving warm welcomes across the land, a healthy radio response and critical acclaim for artistic achievement. Sue has worked as a collaborator/performer for fifteen years with video/performance artist Nora Hutchinson., touring shows across Canada, performing live and in video productions. Sue has collaborated with choreographer/dancer Karen Kaeja, as composer, singer and performer. Sue is a co-founder of Guelph’s amazing Hillside Festival. The opening track, "Sounds Like Thunder", is an outstanding jazz inspiring vocal pop performance. The rest of the songs pull from more of a folk feel to a pop base, but outstanding vocals are present with all tracks. Definitely a hidden treasure.